Though they managed to avoid a fall from the fiscal cliff in the last hours of 2012, Democrats and Republicans continue to wage political war over the economic and ideological future of America. Presidential elections do nothing to resolve our broken political system – rather, the American public is likely to experience an emotional roller coaster ride where the country careens uncontrolled through a series of economic near-disasters and last-minute rescues, as neither political party is willing to accept compromise. The future level of defense spending, foreign policy objectives, immigration, infrastructure investment, and gun control will trigger acrimonious debates, but little agreement in the midst of a tenuous economic environment where one misstep can plunge the economy into recession. Fortunately, both parties recognize the deleterious effect of the huge national debt upon the country and will address the issue in the next Congressional session. There is general agreement that the big entitlement programs – Social Security, Medicare, and Medicaid – must be reformed to slow deficits and reduce the national debt, but each party has presented different visions and solutions for the programs. Whether they can actually make meaningful changes remains in question. Entitlements, the biggest drivers of long-term national debt, accounted for 2.5% of gross domestic product (GDP) in 1965; by 2012, they had grown to 9.7% of GDP. The Congressional Budget Office projects that, if the current trend continues, entitlements will be 18% of GDP in 2035. In other words, the costs of just Social Security, Medicare, and Medicaid as a proportion of GDP will be equal to the average annual cost of the entire operating Federal Government for the past 40 years. Entitlements now account for almost half of the country’s annual budget. Entitlements have always been controversial, viewed as “socialism” by some and a fundamental responsibility of a government to its citizens by others. A Pew Research Poll in 2011 suggests that 80% or more citizens believe that Social Security, Medicare, and Medicaid have been good for the country, even though more than one-half of those polled believed major change in the programs is necessary. At the same time, more than 60% did not want benefits to be reduced even if it meant continued federal deficits. While many support tax increases to support the programs, they expect the taxes will be paid by other parties than themselves. This is the dilemma for elected officials: The average American wants benefits, but doesn’t want to pay for them. The outlook for fundamental change in the programs, which many believe is necessary, is clouded. Our bicameral government protects the status quo so that shifts in political philosophy, government regulations, and laws are minimized and delayed except in times of national emergencies. While various interest groups have expressed concerns about the dangers of growing deficits and/or risks to the various social programs, a visible majority has yet to coalesce around a preferred solution, magnifying the influence of special interest groups to affect any negotiated legislation. Healthcare is America’s largest industry, providing 13.5 million jobs and 8 out of the 20 fastest growing occupations. Hospitals are often the single greatest employer in a community. Physicians and surgeons dominate the highest rankings of compensation studies, while pharmaceutical manufacturers, healthcare insurers, and medical equipment manufacturers have earned record profits in recent years. Healthcare is big business, with big money and big political influence. According to OpenSecrets.org of the Center for Responsive Politics, the industry contributed more than $505 million to lobbying efforts and employed 3,163 lobbyists in 2011. Expenditures of that amount buys a lot of face time and open doors in the nation’s capital. It is unlikely that anyone in the industry would support any legislation that would “kill the golden goose” that entitlements have become. In addition to the big healthcare companies, organizations such as the U.S. Chamber of Commerce and the American Bar Association, and labor unions, such as United Auto Workers (UAW) and the American Association of Retired Persons (AARP) – as well as foreign and domestic corporate political action committees (PACs) – wield enormous influence with individual elected officials. However, in the last two decades, opposing conservative and liberal interests have reached stasis, so that any attempt to pass significant legislation is generally met by an equal, opposing effort to take no action. As a consequence, the two groups are in stalemate so that the status quo prevails. Our country’s legacy of individual initiative and antipathy to big government eliminates some remedies which might simplify or solve the financial and political dilemmas of entitlements. The continued resistance to the 2012 Affordable Care Act is evidence of our opposition to potential government intrusion into individual rights. On the other hand, Americans extol the virtues of charity and responsibility. As a consequence, sweeping changes in the entitlement programs would not be acceptable to the public at large and are therefore unlikely. Social welfare programs are generally long-term and structural, the consequences of which may not appear for decades. None of the entitlement programs were considered economic disasters in their early years – the problems appeared in later decades. Our electoral system in which members of the House undertake reelection every two years, a senator every six years, and a president every four years compels a short-term focus for ambitious politicians with little upside for taking on unpopular, though critical, issues. It is easier to put a bandage on the wound repeatedly and postpone the operation to the future despite any harm to the patient. As a consequence, any “fixes” to the entitlement programs are likely to be superficial, rather than structural. 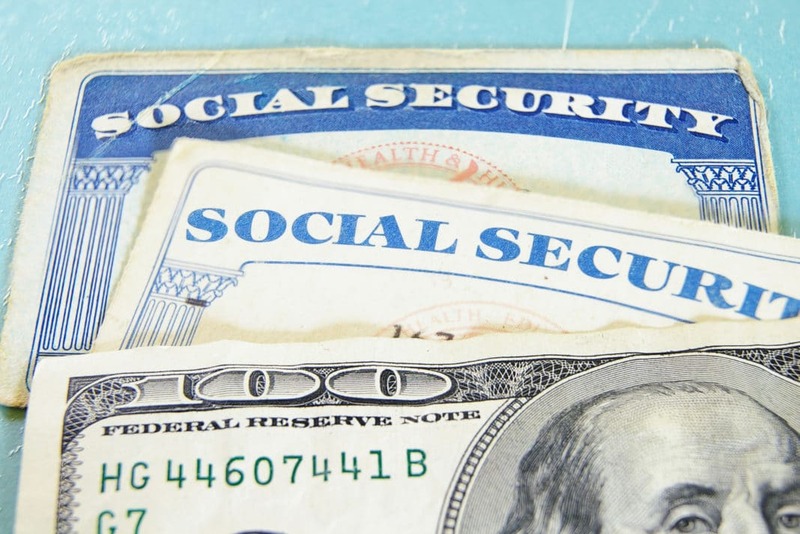 Social Security, while representing a large proportion of the nation’s annual budget, is not a major factor in annual deficits since it is supported by payroll taxes collected from employers and employees. Surplus payroll collections from previous years are invested in special-issue treasury bonds in two government funds: the Old Age and Survivor Insurance (OASI) trust fund and the Disability Insurance (DI) trust fund. The surpluses in the two funds, collectively referred to as the OASDI trust funds, are used to maintain level benefits even when collected taxes are less than disbursements. However, if nothing is done, benefits will have to be reduced in 2033. While more drastic and unpopular in today’s economic environment, Congress could also raise the payroll tax rate of 12.4% currently paid by employers and employees. According to the Congressional Budget Office, an increase in the rate by 1.9% would close any gap between collections and disbursements for the next 75 years. The problems in the nation’s healthcare program for elderly Americans are more difficult to solve. While the rate of growth in per capita costs per Medicare beneficiary are projected to decline for the first time since its creation in 1965, total expenditures in 2011 ($549.1 billion) exceeded income ($530 billion) by almost $20 billion. Medicare is financed through a combination of payroll taxes (2.9 % of wages collected from employees with no cap on earnings split between employer and employee, similar to Social Security, plus an additional employee tax of 0.9% of wages in excess of $200,000) and premiums paid by beneficiaries. 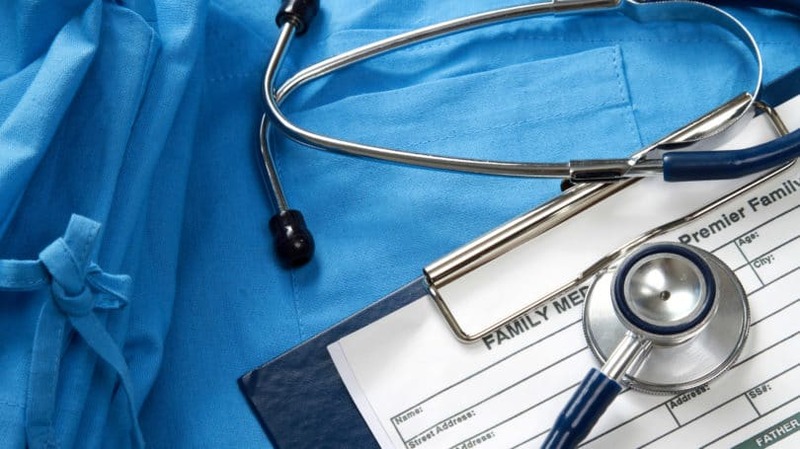 The payroll taxes cover Part A for hospital expenses, while beneficiary premiums cover Part B and Part D for physician services and drugs, respectively. In addition, Medicare beneficiaries are generally required to make copayments, meet deductibles, and pay separately for some tests. 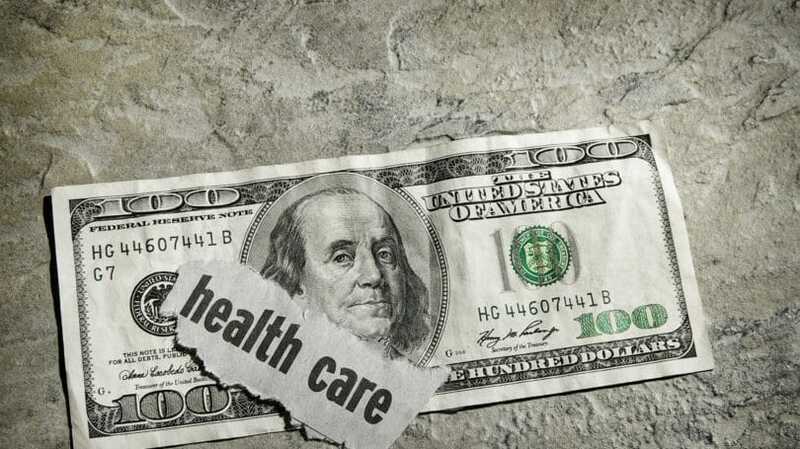 According to the Centers for Medicare and Medicaid Services, the average retiree will make out-of-pocket healthcare payments equal to about 16% of his or her Social Security benefit. In fact, seniors pay more for healthcare than for food or transportation. The “fixes” for Medicare vary by political party, but all involve seniors absorbing more of their own medical risks and costs. Republicans favor a privatization of Medicare, issuing a voucher with a capped dollar limit which would be used to purchase a private healthcare insurance policy, thereby limiting the Federal Government’s cost and leaving the senior with the problem of covering any difference between the voucher and insurance policy premium. Democrats, on the other hand, propose to limit payments to providers such as physicians and hospitals, believing they will ultimately accept lower revenues for the same services. Some propose raising the age of eligibility, forcing either employers to continue coverage or participants to purchase private policies; others still suggest raising premiums, copays, and/or deductibles. Whatever the outcome, it is certain that Medicare beneficiaries will either bear a greater percentage of their healthcare costs or suffer reductions in service via rationing. Politically, Medicaid is the most vulnerable entitlement program. Created in 1965 as part of the Social Security Act, Medicaid covers low-income Americans (families, children, the elderly, and people with mental or physical disabilities). It is jointly funded by general funds of the Federal Government and the state government where the beneficiary resides, and is administered by the state. Individual states determine their own eligibility requirements subject to approval of the Federal Government, so participation, benefits, and coverage vary from state to state. Medicaid is the largest category of expense for most states, and generally is a state’s most controversial program. In 2012, Medicaid accounted for $283 billion in expenditures and covered 56 million people, three-quarters of whom were under the age of 44. Under current law, Medicaid expenses for the Federal Government would double to $582 billion by 2021, with 85 million Medicaid recipients. While families and children are the bulk of recipients, the elderly and people with disabilities received almost two-thirds of the funds. And according to the Kaiser Family Foundation, 7 of 10 nursing home residents are on Medicaid. States have already taken steps to cut expenses by stepping up their fraud units, limiting provider payments, cutting prescription drug costs, expanding managed care programs, and limiting benefits. While their efforts will continue, it is unlikely that the efforts alone would be sufficient to make up for a major reduction in the Federal Government contribution. The Medicaid program covers a politically impotent group (the poor), has no dedicated revenue source, and is widely viewed as a community of frauds, scam artists, embezzlers, and ne’er-do-wells. From an officeholder’s viewpoint, it is a federal program whose funding can be cut or growth severely restricted with limited political risk, effectively forcing the funding problem onto the backs of the state governments. It is highly likely that Medicaid will endure significant cuts because it is politically impotent, virtually invisible to the average American, and any public blow back can be scapegoated to the individual states. Which entitlements do you think should be changed and how? Do you have a suggestion yet to be considered?